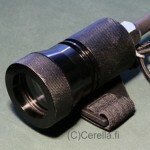 A general purpose attachment to almost any cylindrical strobe, video/focus lamp or buoyancy device. 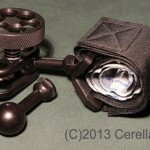 Attaches to TLC arms directly. SKU: T17853. 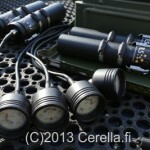 Categories: Arms, Other TLC Items, Underwater Focus and Video Light Arm Sets, Underwater Video Lights. 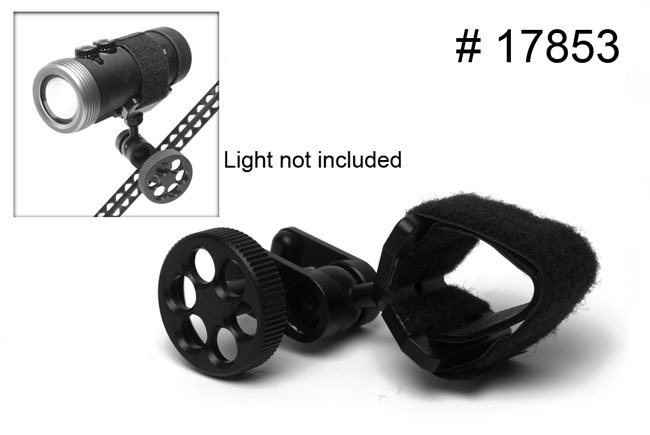 This product consists of a general purpose light adapter and an arm clamp. 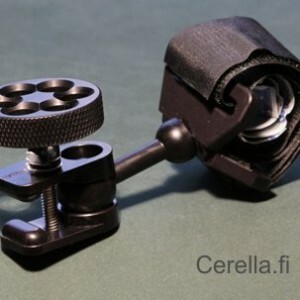 The light adapter uses an adjustable velcro strap to wrap almost any lamp or strobe to the light saddle. You could also use this to attach other cylindrical devices like third party floats. 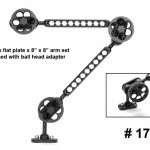 The light saddle has a standard 1″ ball head that can be attached by practically any clamp to any other 1″ ball head arm or even a stem plate on the camera housing itself. 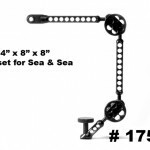 The included arm clamp is compatible with TLC 8″, 11″ and 15″ arms. The clamp attaches directly on the side of the arm, not the end. You may fine tune the trim and stability of the rig by adjusting the arms and the position of the light along the length of the chosen arm. The TLC 6″ arms are not compatible with this special clamp. 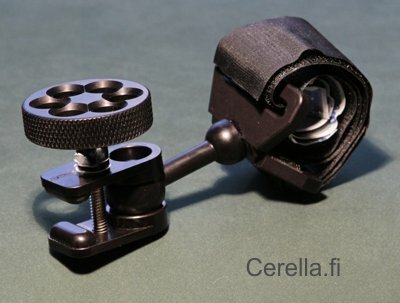 Instead you could use a normal two-way or three-way clamp to attach to the 6″ arms.